Democrance, a Dubai-based insurance tech startup that uses different partnerships to make insurance accessible and affordable to low-income people, has raised $800,000 as seed investment. This first-ever external funding round for the startup was led by Samih Toukan’s Jabbar Internet Group and London-based Eos Venture Partners, a VC firm that invests in InsurTech startups all around the world. Other investors who joined the round include UAE’s Turn8, Saudi-based F-Horizon Group, Seedstars from Switzerland and different angel investors from the UAE and broader MENA region, Europe, South Asia and the United States. Co-founded by Michele Grosso, Alberto Pérez and Damian Dimmich in 2015, Democrance partners with insurers, mobile operators, and other industries to offer insurance and protection to the 99% uninsured population in the region. Their platform brings together the insurance and telecom companies to help users access insurance through their mobile phone without even having a bank account. For insurance companies, Democrance’s platform offers an opportunity to access new customers segments; different easy payment methods including airtime, mobile money or loyalty wallets for premium collection; ability to manage sales, premium collection & claims within the platform. On the other hand, mobile operators can use Democrance to boost their customer acquisition and retention through the insurance products for new and existing customers, increase revenue per user by encouraging the customers to top up more frequently in order to keep the insurance policy active, increase customer engagement and diversify the sources of their revenue. “We are excited to implement groundbreaking technology through a social enterprise model and provide insurance to income groups that need it, but face numerous barriers in attaining it. 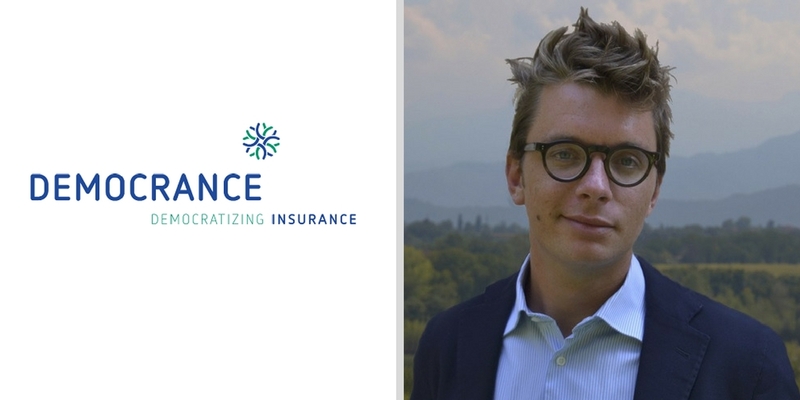 Democrance is the first regional insurance technology platform of its kind, and this important first investment will enable us to further develop our technology and broaden our reach,” said Michele Grosso, Co-Founder and CEO. The digital platform brings together insurance and telecommunication companies, allowing users to get access to insurance through their mobile phone, without even having access to a bank account. “There are a number of areas in which we will be utilizing the funds. Number one will certainly be the technology platform itself, which we will continue to enhance and develop. A portion of the amount will be allocated to release a number of additional pilots across the MENA region, which we will be able to talk about in more detail shortly. Finally, we are looking to further grow our team and add additional skill sets to our mix.” said Michele, speaking to MENAbytes when asked about how the startup plans to use this investment. According to a report, worldwide insurance penetration stands at 6%, while emerging markets reach only half of that figure. In the MENA region, only 1% of the lower-income population can access and afford microinsurance (a term used for insuring low-income people). Democrance aims to educate the public about usage and benefits of its products. The startup has set itself a target to provide access to basic life and health insurance to 15 million low-income people across the MENA region by 2020.